Home From Home Agency is here to help you find that place to call home. We are a small independent agency with properties located in Birmingham, West Bromwich, Walsall, The Black Country and the wider area of the West Midlands. 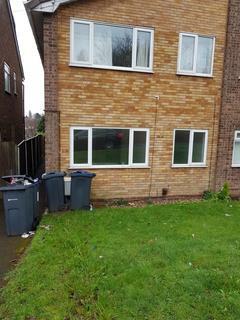 A spacious two bed-roomed flat located in Great Barr, having been recently redecorated. Briefly comprising two bedrooms, spacious lounge, fitted kitchen, and modern bathroom with shower. Viewings are being conducted shortly so book an appointment now! Marketed by Home From Home Agency - Birmingham.